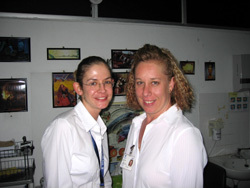 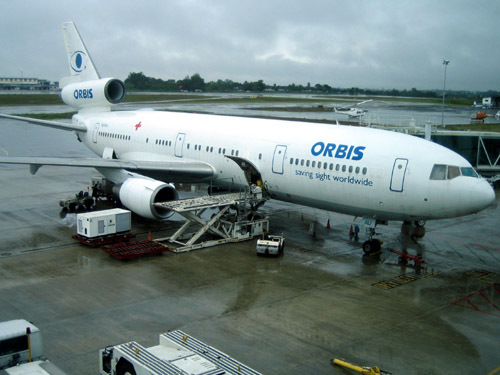 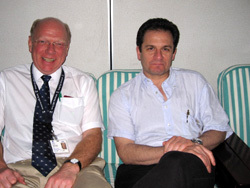 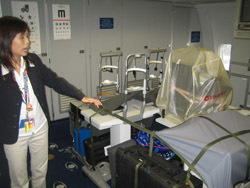 The ORBIS plane arrived in Kuching International Airport on the evening of 27th January, 2007. 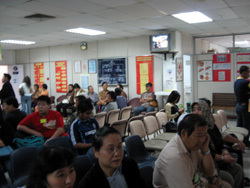 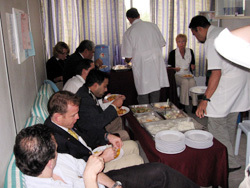 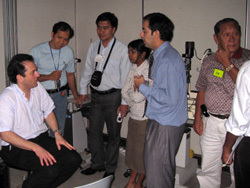 The patient consultation began on the morning of the 29th January, 2007. 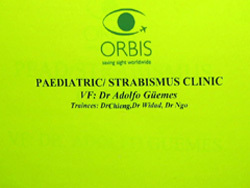 ORBIS in Kuching International Airport. 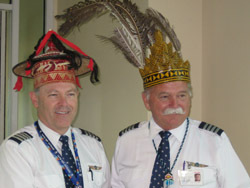 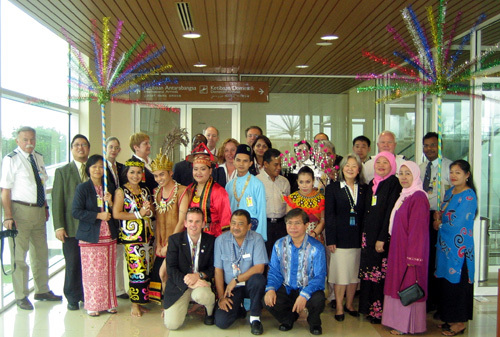 Native welcome in Kuching International Airport. 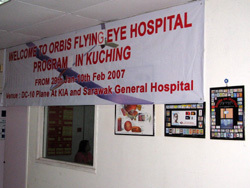 Banner at the entrance of the Eye Clinic. 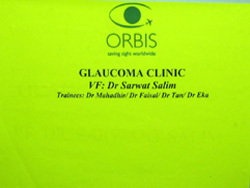 Taking patient consent and eye examination. 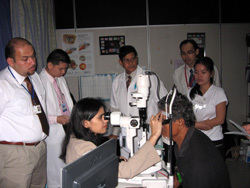 Medical officers and ophthalmologist of Sarawak General Hospital and UNIMAS. 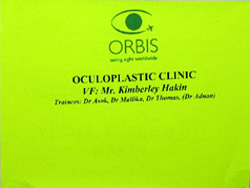 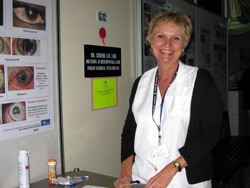 Orbis staff nurse Ms Toni Pilcher. 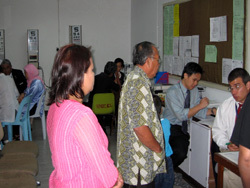 Discussion between Dr. Mahadhir and Dr. Salim. 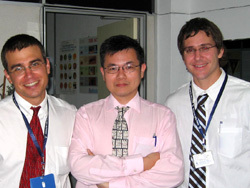 Dr.Hunter, Professor Chua and Dr.Fuller. 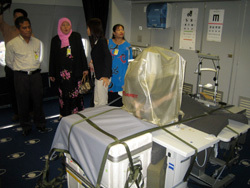 The nurses of Sarawak General Hospital at the reception. 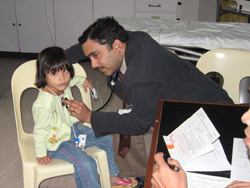 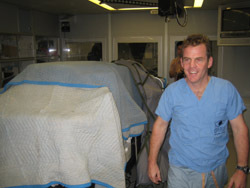 Dr. Lawrence assessing patient for general anaesthesia. 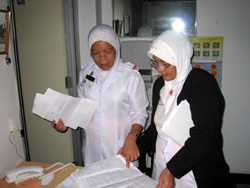 Staff nurses arranging patients for operation. 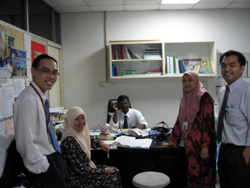 Dr. Intan discussing with ORBIS staff. 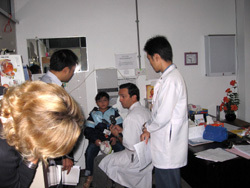 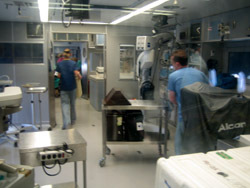 Dr. Hunter and Dr. Law explaining to patient's mother regarding operation.